I’ve finally come to terms with the fact that I’m not going to get round to writing individual reviews for the plethora (well in excess of 20) meals out I had in October and November. Putting them altogether into one ginormous round up makes my life easier, and you lot seem to love them – my 2015 best Brighton food (2016 version incoming soon) is the second most viewed post I’ve ever written – so chow down on this one and I promise to try and do better in 2017. 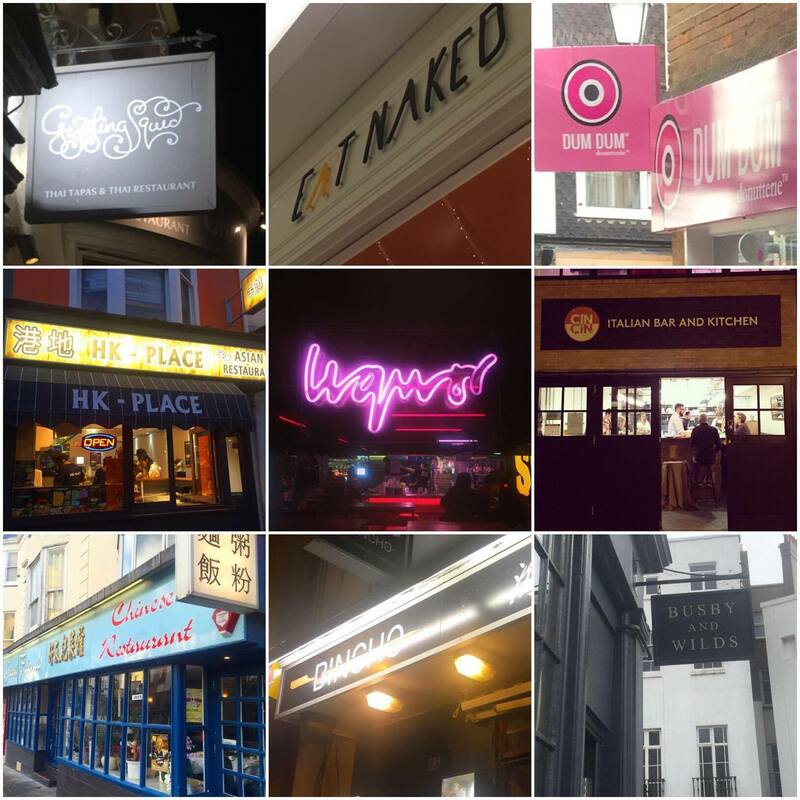 Some of these places are new to me (and may be followed up with a more detailed write up) and others are revisits and/or firm favourites, in which case I will link to previous reviews. 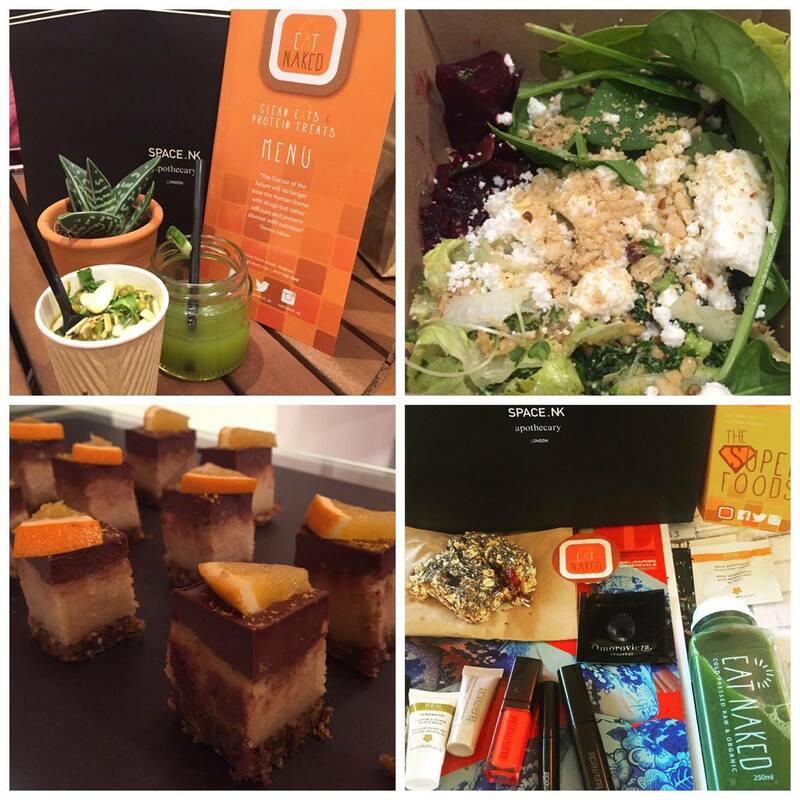 Disclaimer – I know this may seem like an outrageous amount of times to have eaten out in two months, it probably is, but it was my Birthday, a few were invitations (freebies marked with an asterisk) and the rest were… well, me just doing what I do. Enjoy! One of three Preston Street based Asian restaurants mentioned in this post. I ended up in here quite by chance after an impromptu sunset flight on the i360 (as you do). Having only opened the day before, my expectations weren’t high, but the service was charming and the food came out speedily. 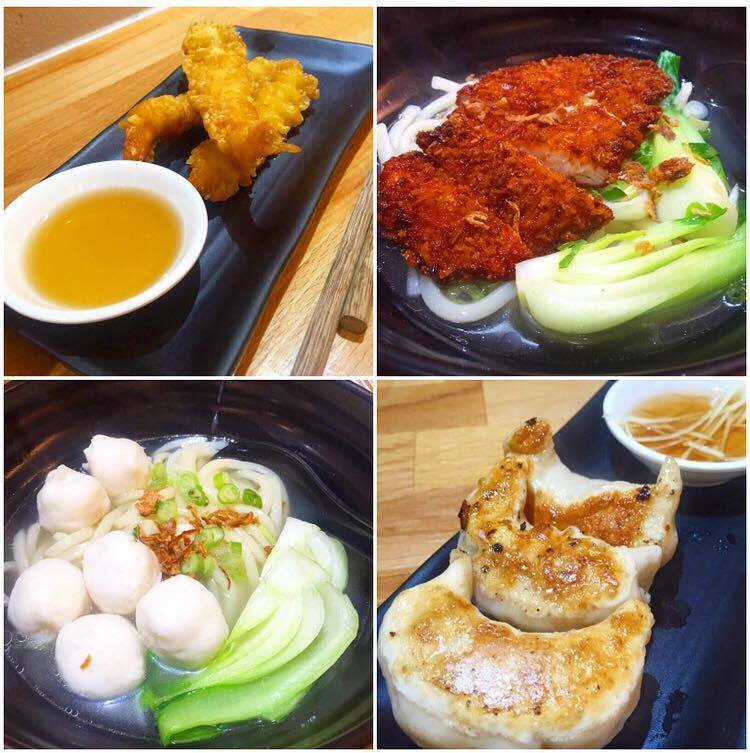 With dishes priced between £2-£8 it’s cheap quick eats in a no frills setting. My flatmate definitely picked the winner with her breaded chicken ramen, the fish balls were nice if a bit one dimensional, and the clear broth they both came was fragrant and citrusy, with a selection of chilli sauces and oils to season them further. AOB Someone tweeted me to say they’d ordered the spicy sausage and were repeatedly warned about their spiciness, when in reality they were served plain mini frankfurters on a skewer – odd. Whenever anyone asks me my favourite Chinese restaurant my auto response is Good Friends. I expect I should branch out a bit (China Garden and Gars have been on my list forever) but it’s definitely my go-to. 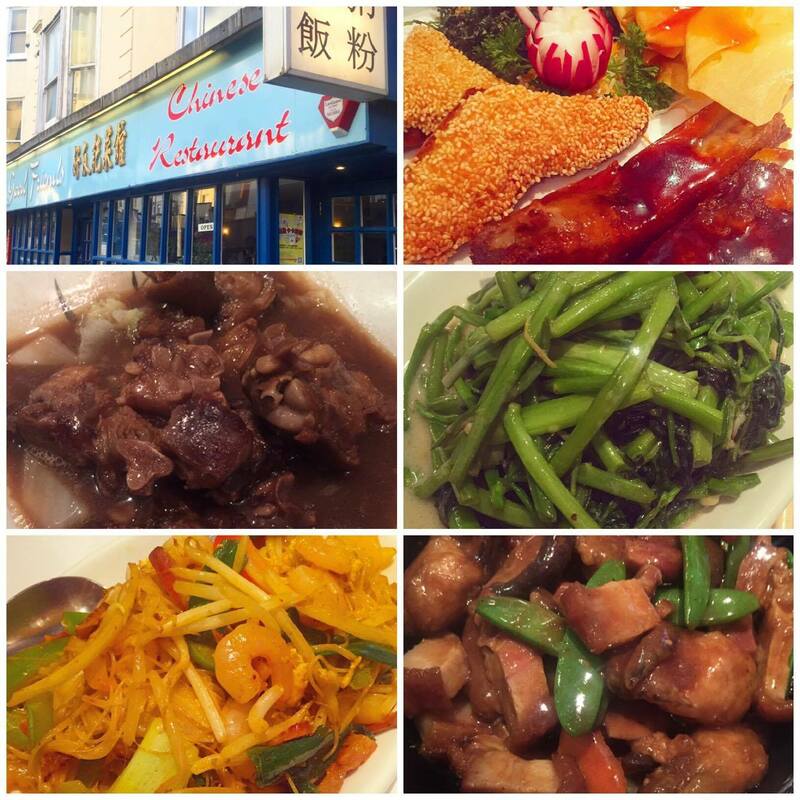 Braised pig trotters, crispy pork belly with fried oyster hot pot and a side dish of morning glory were our choices from the Cantonese menu (you need to ask for this as they don’t shout about it) as well as the more ‘traditional’ mixed starter platter and Singapore rice noodles. We smashed the lot and for £50 I thought it was great value, apart from the morning glory; an eye-watering £9 (for some stirfried veg?!). It was just as great as I remembered from my last visit, even my friend who isn’t really that into Chinese food, agreed that this was streets ahead of most others she’d tried. AOB They do do takeaway but not delivery, if you’re desperate not to leave your house then Sichuan Garden is pretty good. 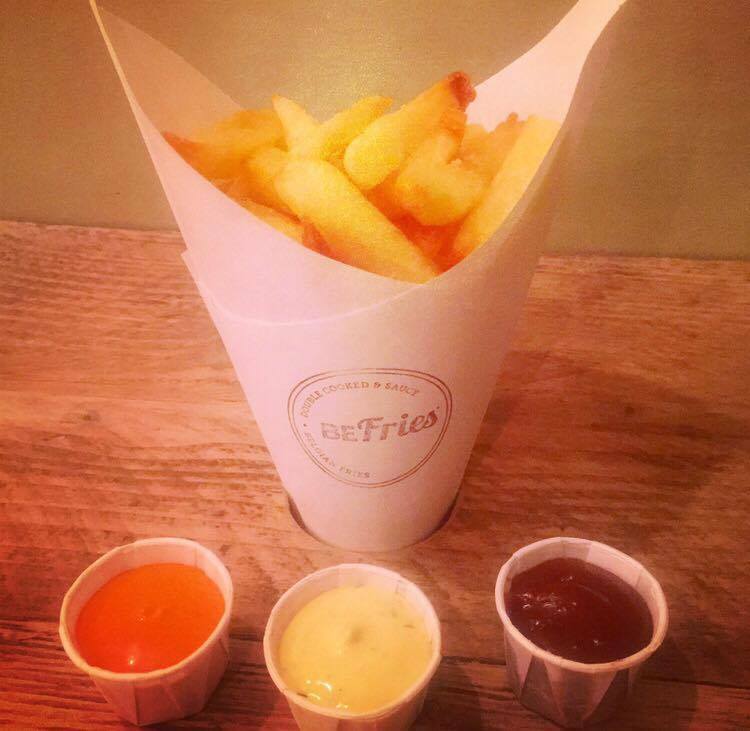 If you’re going to be brave enough to open somewhere that sells just one thing, then you need to be damn sure your product is 100% up to scratch, and luckily for BeFries they have absolutely nailed it. The British potatoes are hand-cut before being cooked twice to ensure perfection, and they’re served with a vast array of sauces, many of which they are made on the premises (lots of them are vegan, if you’re that type). I can highly recommend the satay sauce and dill pickle mayo. The owners very sweetly invited me back for a full tasting, which I shall certainly take them up on in the near future. As I said on Twitter – now there’s yet another reason to head to West Street for food. AOB They are open until midnight at weekends and I saw on their Twitter that they’re happy for people to bring in Burger Brothers food, ideal for those of you (like me) who cannot get their head around the insanity of somewhere selling burgers with no fries! 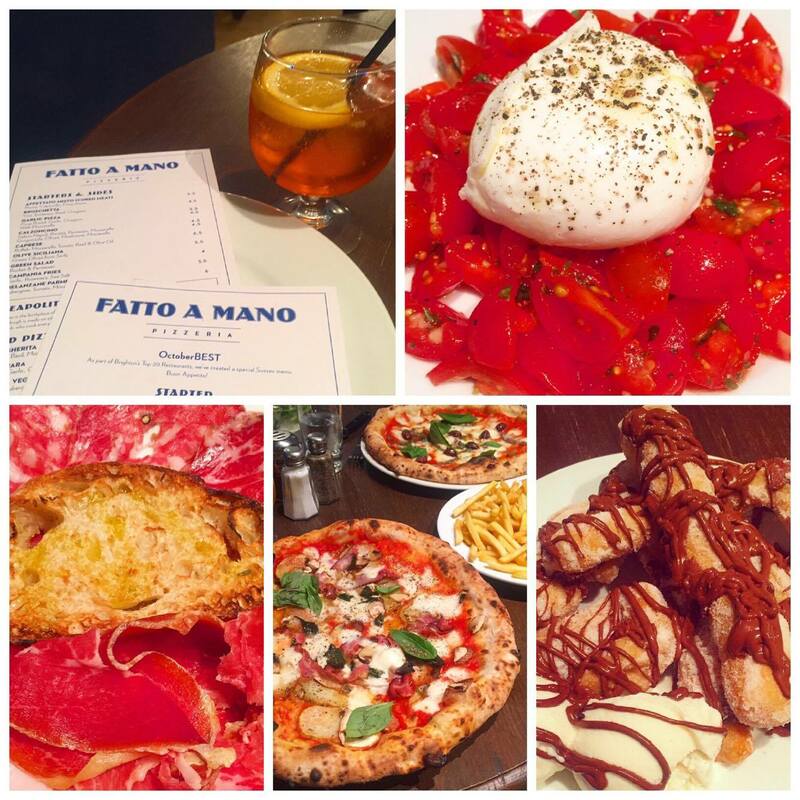 Definitely in my top three for local pizza places (Franco Manca and Nuposto being the others) Fatto a Mano had an absolutely storming first year, so much so, that they’ve crossed the border and opened their second restaurant on Church Street in Hove. I was sad that the burrata special I’d spotted on Instagram wasn’t on the night I visited, but the pancetta, mushroom and potato pizza was an excellent substitute, as were the delicious cured meat platter, buffalo mozzarella salad and Campania fries. Despite the carb overload we forced down a portion of the scugnizzielli too – deep fried pizza dough dusted in sugar and drizzled with nutella – try and leave room for this, imagine the best ‘pier donuts’ you’ve ever had, and you’re halfway there. AOB: It’s almost directly opposite The Gin Tub which is a lovely place for pre or post meal tipples and parking is free on Church Road after 6pm – don’t drink and drive though, kids. 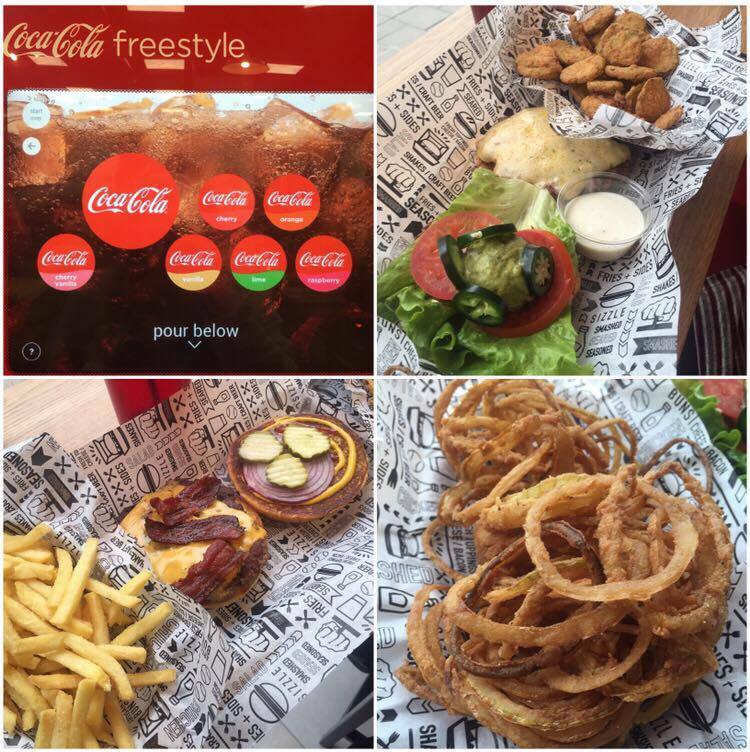 Let’s start with the good bits – the onion rings are some of, if not the best I’ve ever eaten. The discs of fried pickle were nice, I’d rather battered than breaded, but that’s just my personal preference. I get ever so excited by freestyle fizzy drinks machines and I expect their haagen daaz icecream milkshakes are well worth ordering too. Unfortunately it was the burger which very much let the side down. The patty itself was dry, crumbly and insubstantial and I really didn’t like the way it was deconstructed, either. If it were a choice between this and Burger King (a few doors away) then I’d definitely opt for Smash, but that’s not exactly the greatest accolade, is it. (Soz to my old boss, if you’re reading this). AOB I’ll probably give it another bash, as they’d only been open a few days, and those onion rings alone were probably worth a repeat visit. My Mum and I have a bit of a patchy track record when it comes to my Birthday meals, we’ve had some absolute shockers, so to avoid any repeat of this I picked somewhere I knew would feed us well, the closest restaurant to my flat, Busby & Wilds. 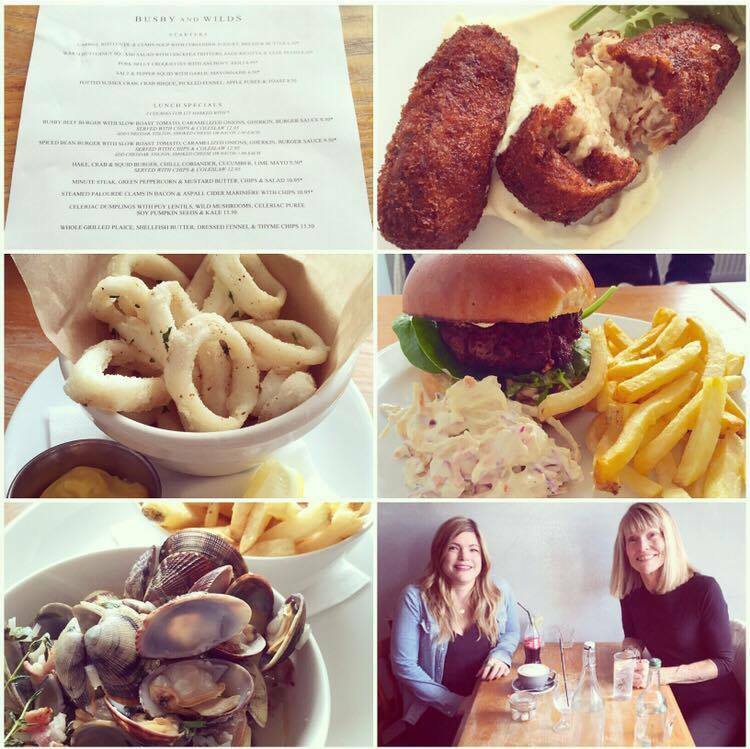 We both ordered the lunch deal (two courses for £15-bargain) I had the salt & pepper squid followed by clams cooked in cider with fries and my Mum the pork belly croquettes with anchovy aioli and a burger. Other than to rave about their roast, a lot, I’ve never actually done a full review of Busby & Wilds, which given the number of times I’ve eaten there, and recommended it, seems crazy, so watch this space. 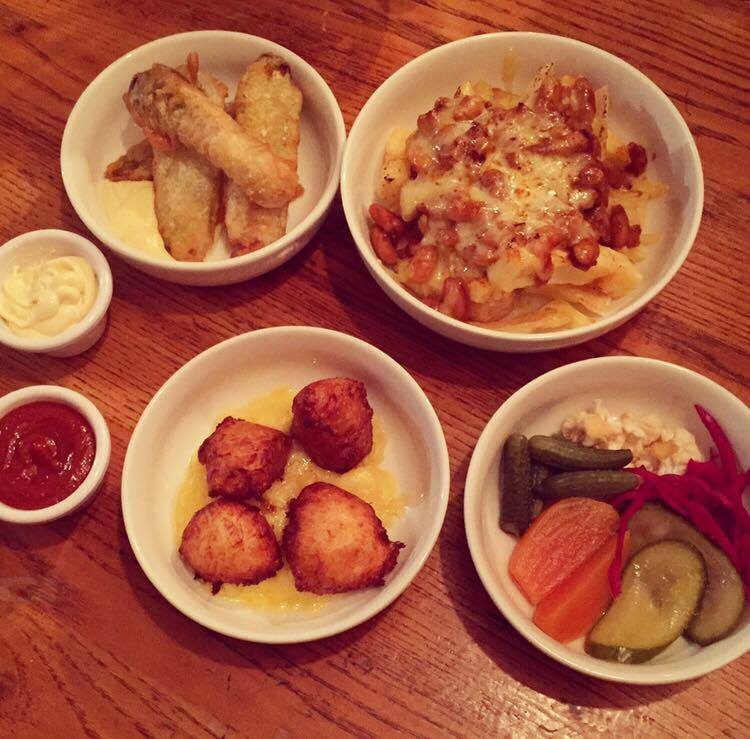 Sidenote – the day they tweeted me to say they now serve cauliflower cheese with their roasts was one of my happiest food related memories of 2016. 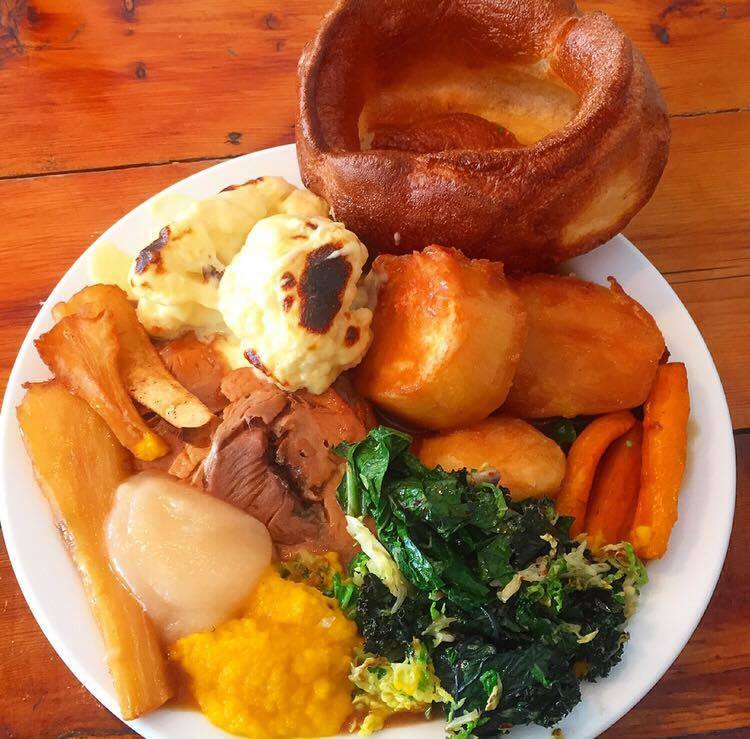 AOB Make sure you book if it’s a roast you’re after – they get absolutely rammo, and rightly so, it’s definitely up there with the best in Brighton. 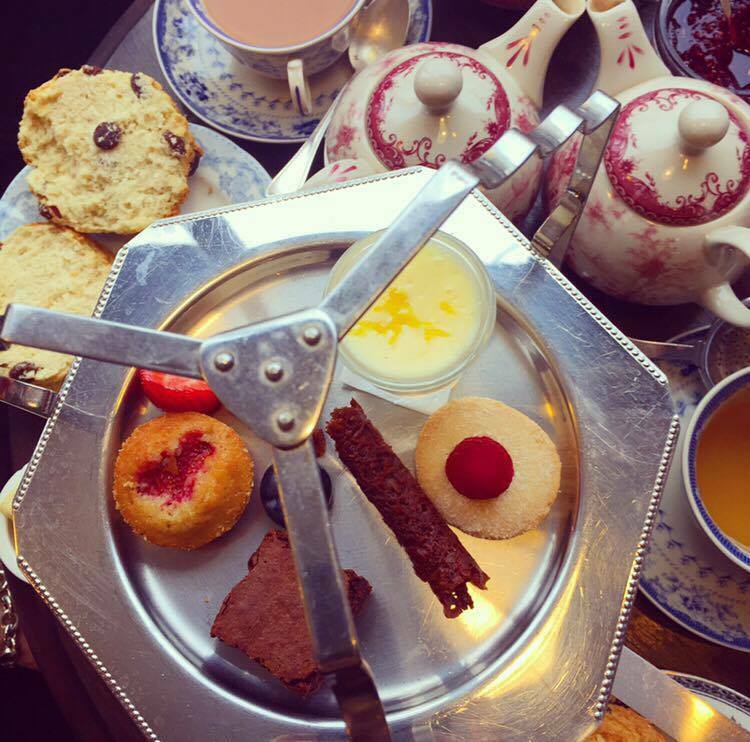 I’m a long term fan of Blackbird Tearooms, in particular, their afternoon tea. For £16 (some people will balk at this) you get a selection of finger sandwiches, a scone with cream and jam as well as an assortment of cakes and pastries. Delicious as it was, I couldn’t help but notice that the mini cakes had got smaller and slightly less extravagant, you no longer get a choice of sandwich flavours, and it always annoys me that you have to ask for butter with the scones. I had a lovely time, but I think I might start branching out when it comes to tea time in Brighton. Blackbird will always have a place in my heart, but I came away with the sense that whilst the prices have gone up, the service standard, portion size and quality, have decreased. AOB Probably not for the claustrophobic, when we went I was virtually sitting on the person at the next table’s lap, the floor plan is very much, pile them up and stack them high… ker-ching. Anyone who follows me on social media won’t have been able to avoid my recent obsession with The Chilli Pickle. I visited four times over the space of two months and hand on heart, I honestly couldn’t find fault with any of the meals I had. 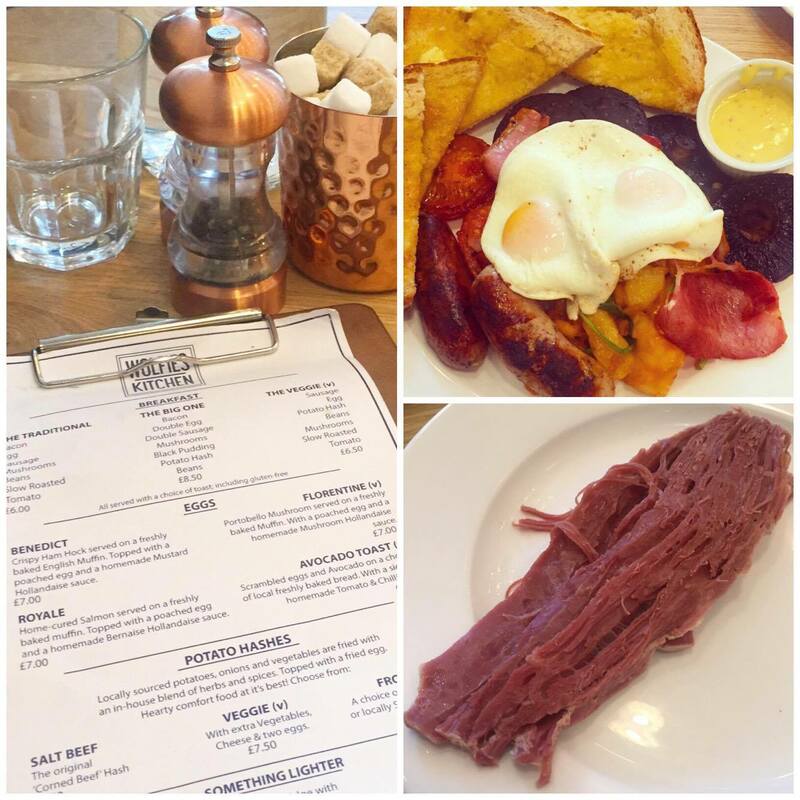 Brunch, lunch or supper they’ve got a fabulous array of accurately cooked and imaginatively designed dishes that couldn’t fail to please any crowd. 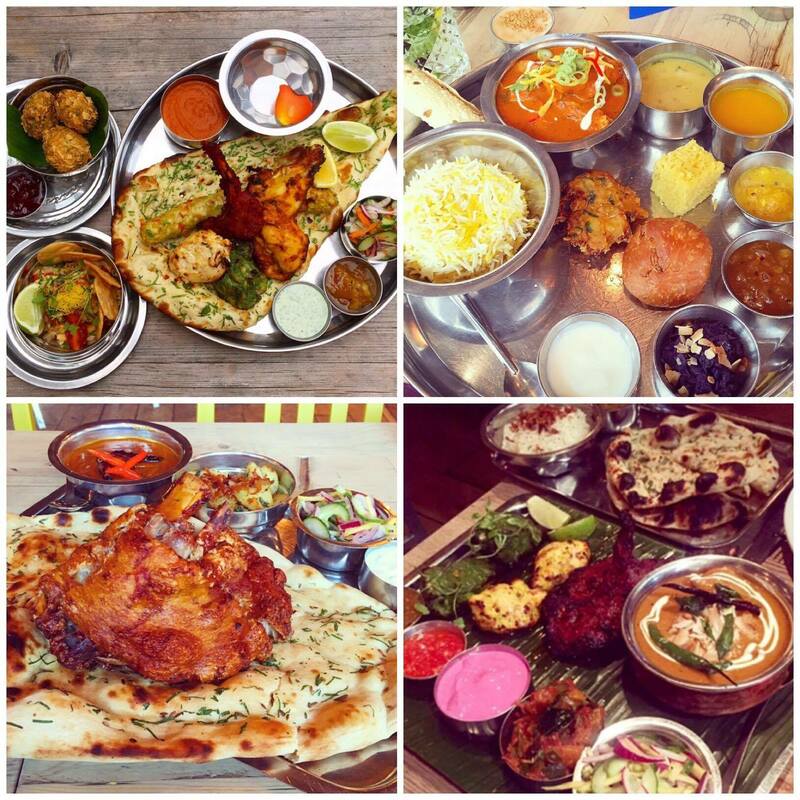 Pictured above is the Sunday brunch, thali, vindaloo pork knuckle and the main course platter from the banquet – hit the link below for my full review of them all. Then book yourself a table. AOB You will need to check if the wondrous pork knuckle dish is available, as originally started as part of the October Best set menu offer and was extended into November by popular demand. 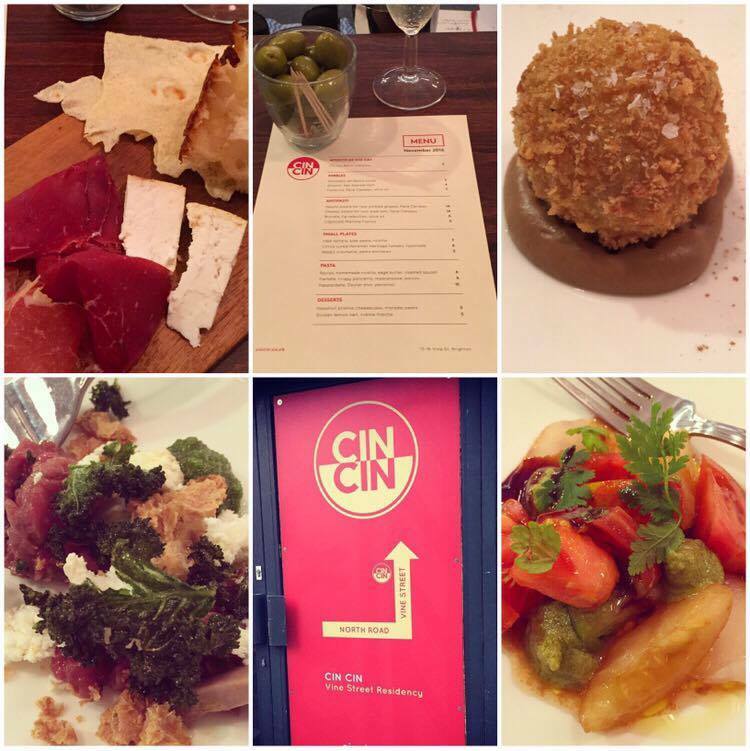 I was lucky enough to be invited to a pre-opening menu tasting at Brighton’s newest Italian restaurant, Cin Cin. Having eaten at their food truck and supper clubs, I was excited to see how their first permanent restaurant would shape up. I’m thrilled to say, it way surpassed all of my expectations, so much so that I went back for supper a few weeks later (full review up this week). 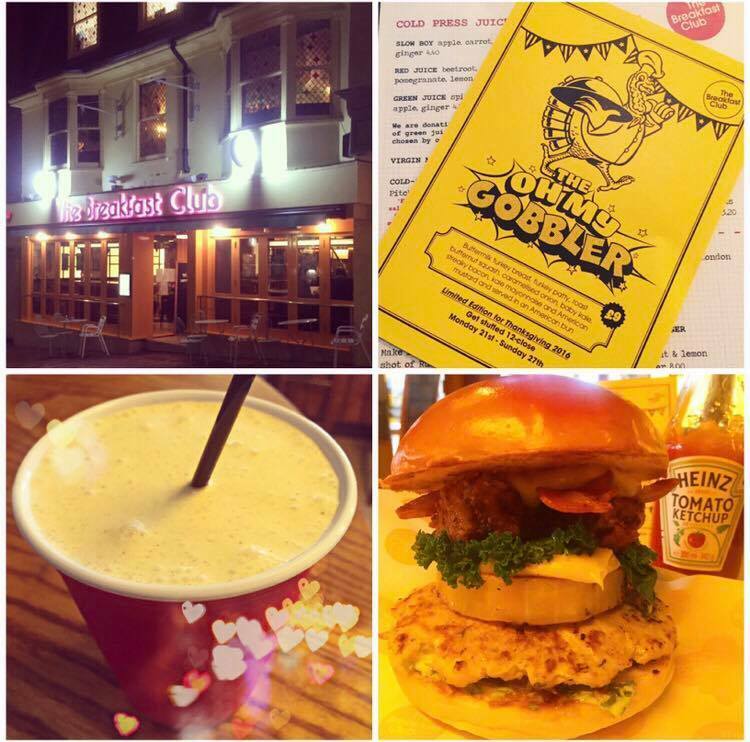 I did have a question mark around the location, I needn’t have worried though, in just a few weeks they’ve done an incredible job of putting themselves well and truly on the Brighton food lovers’ map. AOB Follow them on Instagram and Twitter to keep up to date with their specials and offers and make sure you book too because they are getting busy. When I heard that The Set were taking over the kitchen at The Brighton Beer Dispensary, my ears pricked up. I was a big fan of their dirty fish burgers and equally filthy sides, so was hoping for something similar on this menu… and Dizzy Gull nailed this brief perfectly. For me the highlights of the meal were the duck kebab (not pictured) and the fried mash with hollandaise. I’m hearing good things about the roast and will definitely be back to put a bigger dent in their bar menu soon, preferably with a posse in tow so we can try it all! News just in… the dirty fish burger will be appearing on the specials board at Dizzy Gull this weekend! AOB I know it’s meant to be all about the beer, but their soft drink selection is absolute garbage. If I’m eating salty, deep-fried food like this, then I want a gallons of pop to wash it down with, and there was nothing of the sort. >>> update: they just posted a picture on Twitter of some (albeit mainly teeny) cans of fizzy drink, there was Ting though, which is a result! I don’t know anyone who doesn’t love Bincho Yakitori. I’ve been four times already this year with another visit planned for next week. 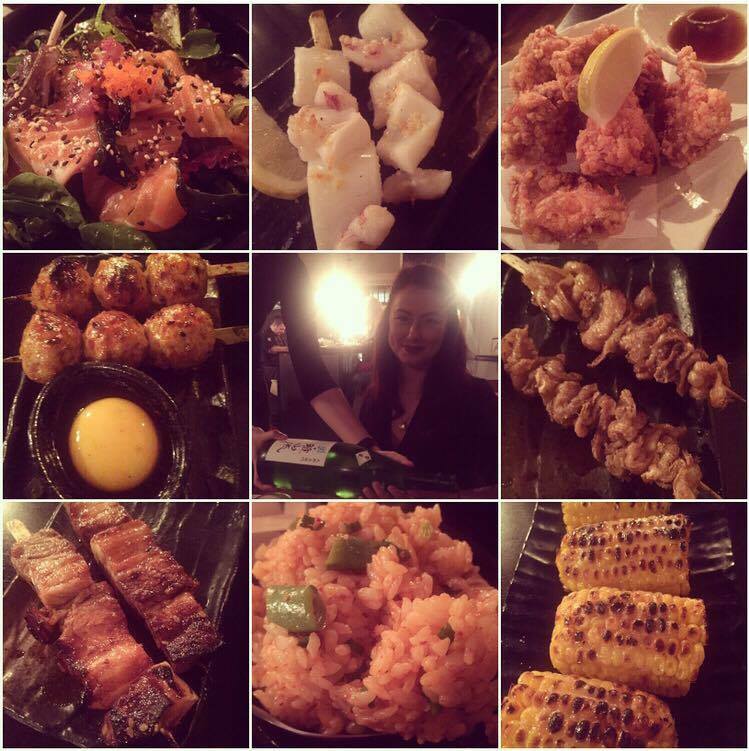 Various cuts of meat and fish, grilled, skewered and served without a fuss, are the main feature. The four or five ever–changing specials have never disappointed and the sashimi salad and kimchi rice are both excellent side dishes, complementing most things on the small, yet perfectly formed menu . Expect reasonable prices, great music and relaxed vibes – I cannot recommend it enough. AOB everyone raves about the Korean chicken, and don’t get me wrong, it’s great, but for me, it’s alllll about the kara-age, straight up fried chicken, Japanese style. Make sure you book. You all know I love a bit of meat, and MEATliquor, so when champion of ‘nose to tail’ dining, Tom Griffiths (from Flank) teamed up with them for one night only, I had a feeling it was going to be a bit of me. Pork belly bao buns, ox tongue burger, cheese melts rolled in wotsits and kentucky fried Korean chicken made up the menu, and the three of us monstered our way through a selection platter of the lot, with a shitload of cocktails too, obvs. This was the last Flank event, and I know a lot of Brighton foodies are awaiting the announcement of his next project, so hurry up, Tom! A special mention must go to MEATliquor’s own filth pie – marshmallow, oreo and chocolate pie, every bit as decadent and obscene as it sounds. AOB I’m going to MEATliquor for their XXXmas ‘garbage plate’, filth pie and a Christmas piss up with my flatmate next week, needless to say we are both SUPER excited. It’s been weeks since my meal at Giggling Squid and lamb massaman curry is still on my mind, it really was exceptionally good. If you’re after something a bit different for your Christmas do, a great value lunch deal or just a bloody good feast, then check them out. 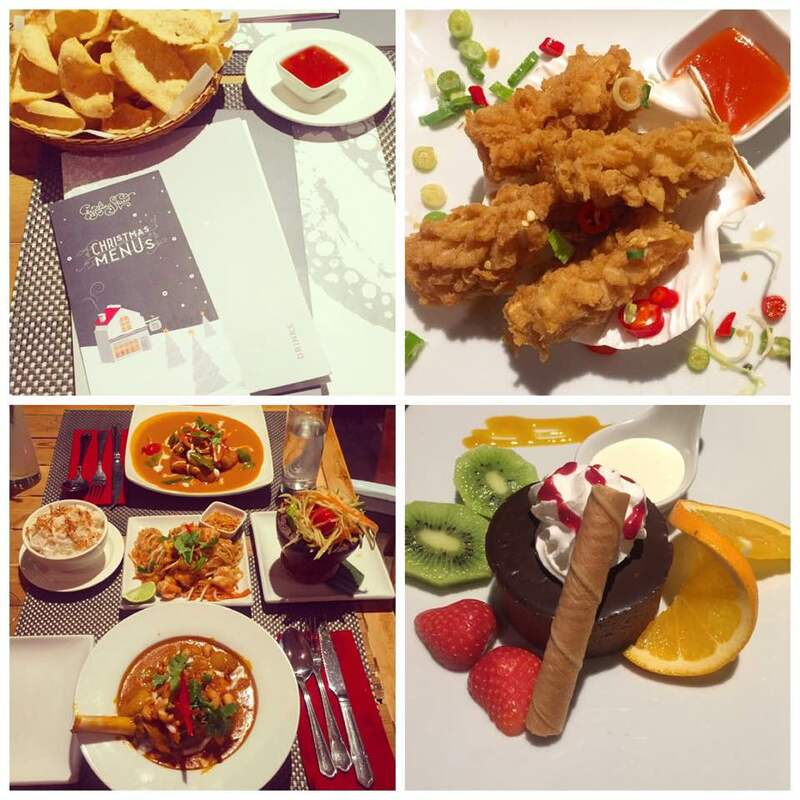 It’s traditional Thai food for the English palate, in relaxed and informal surroundings. Great for groups, families or tables of two, I can’t imagine an audience it wouldn’t please so it’s easy to see why they’re constantly expanding, with nearly 20 sites open and more planned for 2017. AOB: They’ve got branches of Giggling Squid all over the place, all with the same menu, check out their website to see where you can get your fix from. AOB This was actually a Thanksgiving special but I have it on good authority that they’ll be ‘Christmas-ing’ it up for December. 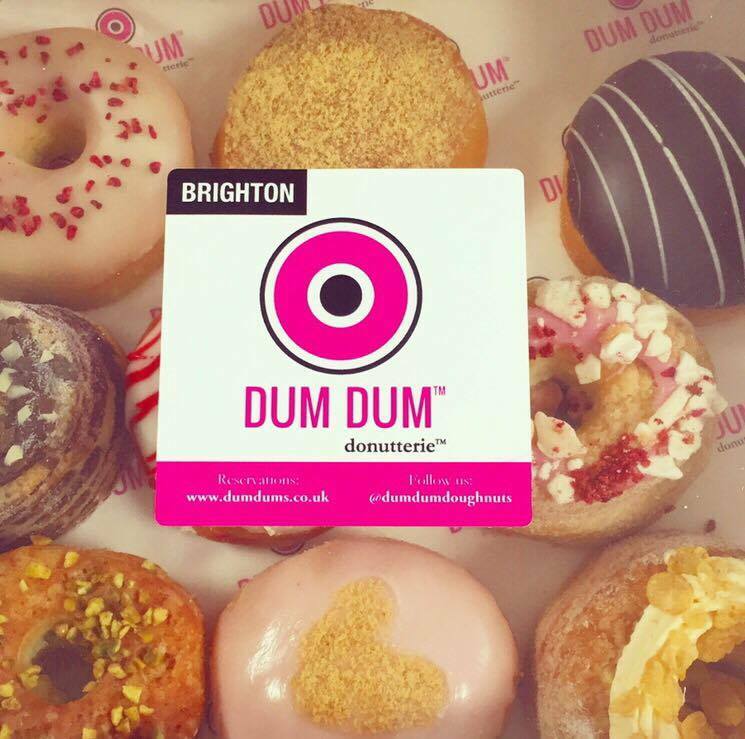 When an extremely pink email stuffed with donut images and an invite to the launch of Dum Dum donutterie landed in my inbox, I put the date straight in my diary. Using only natural ingredients and baking them rather than frying means they’re pretty much health food, right? In addition to the numerous samples I demolished whilst I was there, I was given a box to take away with me, much to the delight of my flatmate (and a select few colleagues). They lasted well for a couple of days, and my favourites were the creme brulee flavour and all of the cronuts. AOB They aren’t the cheapest, a dozen will set you back over £30, but I can vouch for their delciousness and the fact that the owner Paul is a thoroughly nice chap who takes a lot of pride in what he does. They’re open until they sell out. I’d hazard a guess that if you showed this picture to any breakfast-loving Brightonian, they’d be able to identify it as Billie’s Cafe. 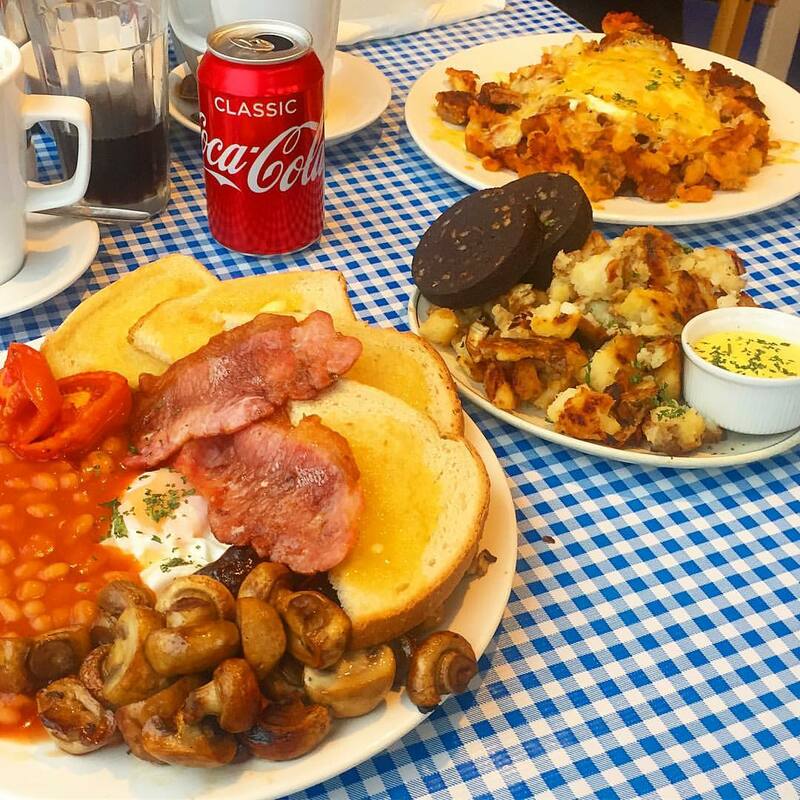 Their checked tablecloths are as recognisable as their famous ‘farmhouse hash’ – that they’ve been churning out of the same kitchen, in the same 25 cover Cafe for at least 30 years. Whilst I do love their cheese covered full English hash, I almost always opt for the jumbo breakfast, with extra potato hash, black pudding and a hollandaise sauce, because as you can see, it’s a beauty and ticks every box and criteria (other than two eggs) that I have when it comes to a fry up. AOB It can be an absolute ballache getting a table at the weekends, and if you do get one, expect pass-agg eyeballing from the queue of people waiting, as soon as you’ve cleared your plate. I’m not very good at eating clean… in fact the first time I got a salad box from Eat Naked, I ended up dousing it in Pizza Express dressing because I just felt like it needed it (for maximum enjoyment). However I’ve probably eaten there another four times since and have enjoyed it (sans extra dressing) on all of those occasions. I was invited to their bloggers’ event by the lovely owner, Stacie, to try out some of the food and find out their plans for Christmas, and like I said to her on the night, I never thought I would be excited by a coconut and lentil dal, but I really was. Another place I’ve been meaning to do a full review of, this post is giving me the guilts for being so slack recently, definitely one for the new year! AOB The goody bag from Space NK was amazing, some of my favourite brands were in there, as well as a bonus raw granola bar that I had for breakfast the next morning, SO much nicer than I expected it to be, a lesson to me in not being so wary about the words ‘raw’ and ‘clean’. 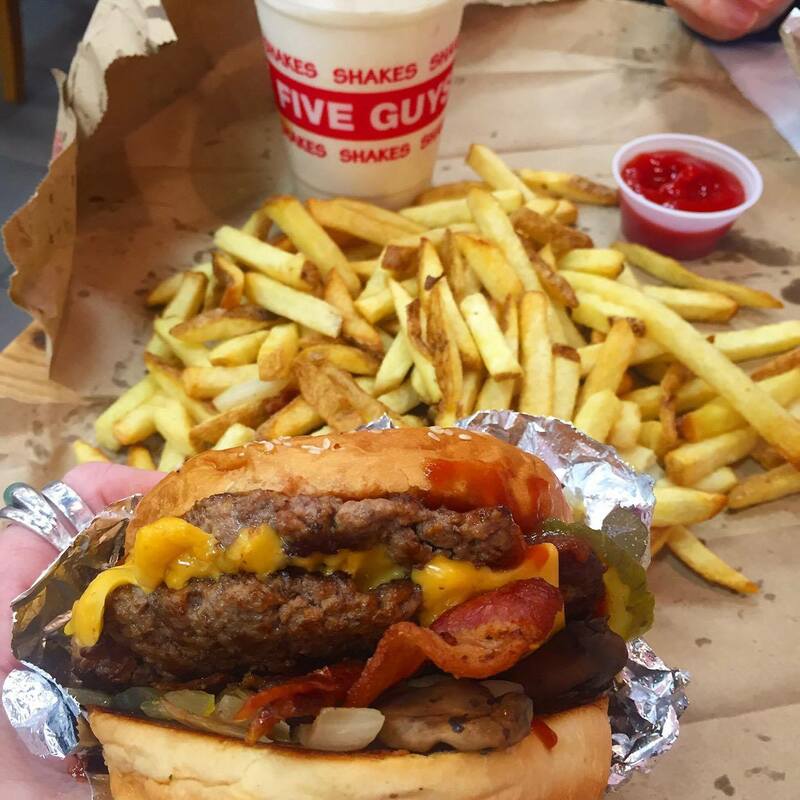 My fifth visit to Five Guys since they opened down at Brighton Marina, and if I had to sum them up in a word, it would be consistent. Hefty in both stature and in price, I’ve never not enjoyed my meal there. They have a fizzy drinks machine of dreams, their fries are pretty damn good but I’d love to see something in the way of sides and more condiments on offer too. It’s undoubtedly the best burger in that neck of the woods, and I’ll definitely be returning. AOB Every time I go there it seems to be full of men, presumably not ‘cheeky nandos’ fans, so take note single ladies on the prowl. I’ve known for ages that Wolfie’s Kitchen was in the pipeline, so when I saw that it had finally opened, I’m not ashamed to admit that I did a little shriek of excitement. Nice quality meat, two of each including eggs, and for under a tenner, I think the ‘big one’ was excellent value. I could’ve done without the potato hash being mixed in with my baked beans, and even more randomly, some spinach, but other than that, I loved it all. The owner was in there having brunch when I was there, and he insisted I try some of the salt beef and I was suitably impressed. AOB Try the chippy too, it’s mindblowingly good! Now let’s all keep our fingers crossed that he’ll pursue my suggestion of them taking over the old Fish+Liquor site, so Brighton can finally have a decent chippy on the actual seafront. 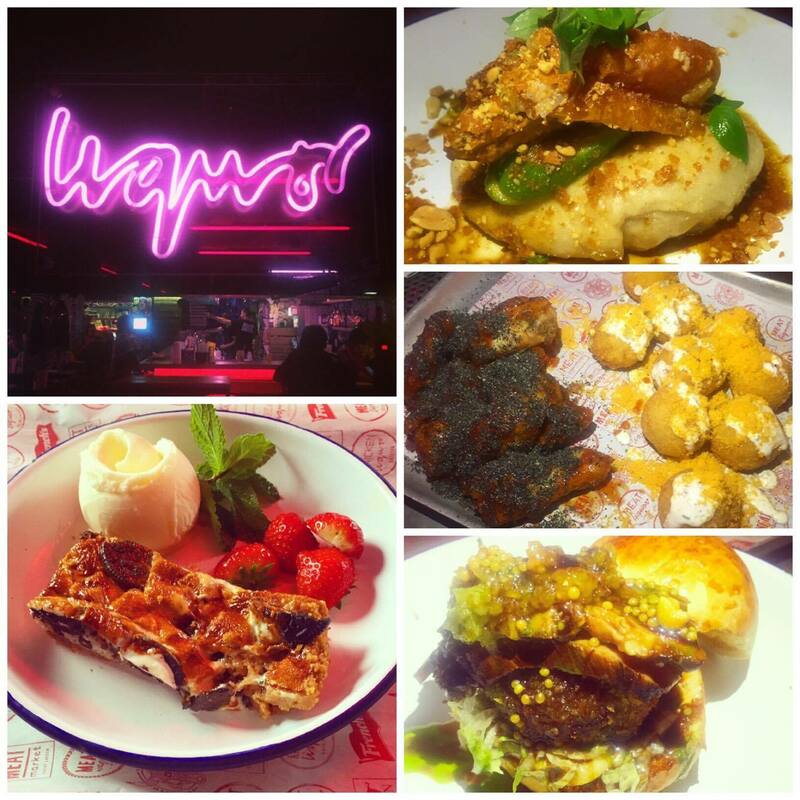 Where have you been eating out in Brighton and Hove recently? How many of the above places have you been to? Talk to me in the comments section or hit me up on all manner of social media (links below). Big wooooohooooo to Wolfies and BlackBerry Tea Rooms! Another comment in 10 minutes (I am sorry but I am hooked on your blog!) 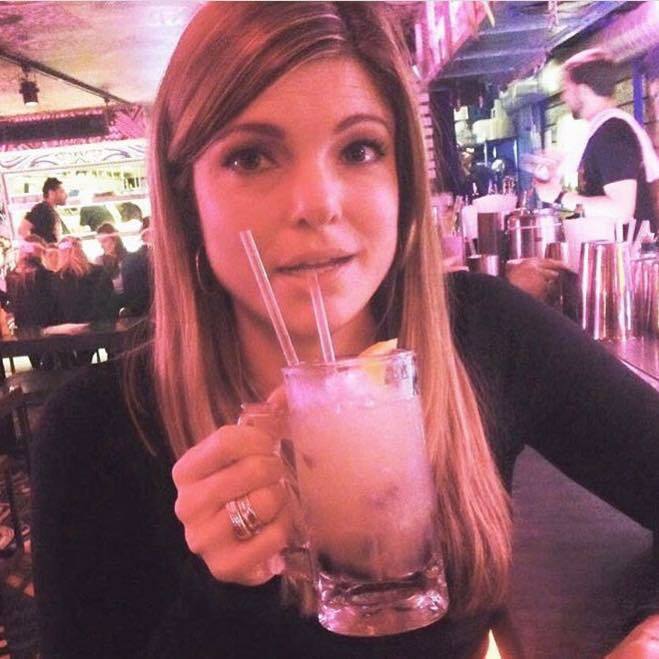 I love your pictures and the way you write reviews! This post will be saved for when I am going to Brighton later this year. I support, I love you blog. It is better to buy a grill here https://bestgrillcover.com/ than to buy it in another place, I guarantee!